It's Resort season again!! It´s incredible how fast time goes by. For those who are not familiar with the words "Resort" or "Cruise", I´ll explain it to you. This "season" is targeted to the holidays. They usually go on sale around December, just in time for the trips people take after New Year. With that being said, you will understand why shows are located outside the Big 4 Fashion Cities. For example, last year Chanel presented in Cuba (quite revolutionary, but it´s understandable because politics were very involved) or Louis Vuitton showed in Brazil. 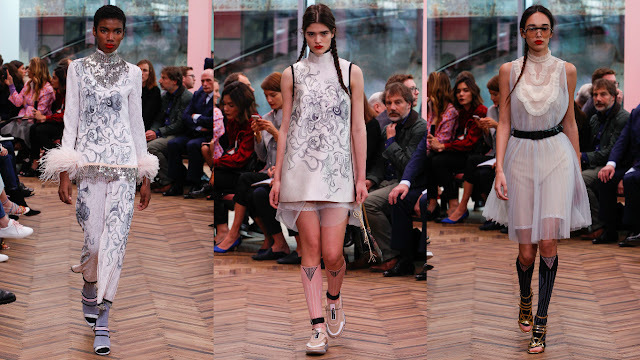 This year we are are transported to Greece with Chanel (even though the show took place in Paris), to the desert with Dior and to Japan with Louis Vuitton. See bellow and decide where to travel next! Chanel is back in Paris for it´s Cruise 2018 collection, but the setting seems to be inspired by Greece. According to the designer Karl Lagerfeld "To create the future you have to pay attention to the past". 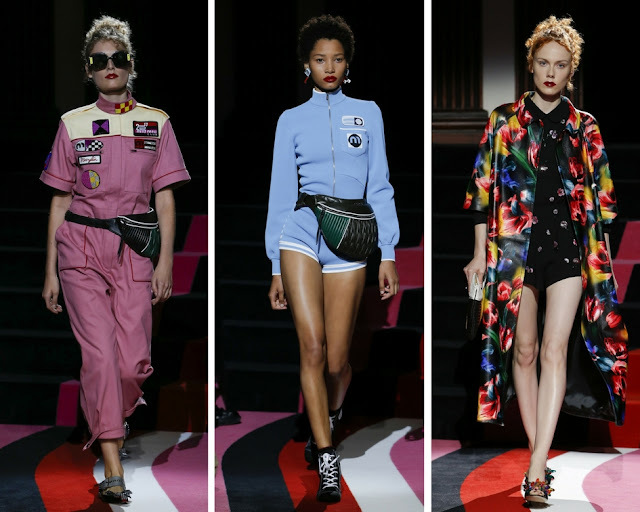 Prada showed it´s first Cruise collection at the Fondazione Prada in Milan. Their Resort 2018 is full of pastel colors, sheer fabrics and stones embroideries. 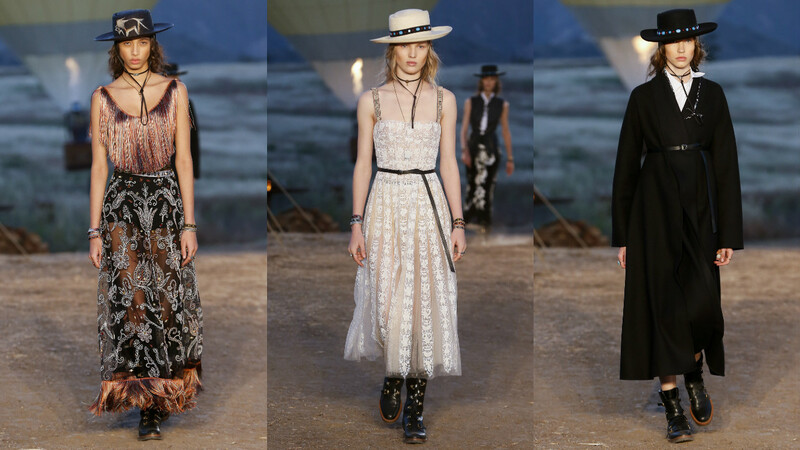 From the Upper Las Virgenes Canyon Open Space Preserve in Los Angeles, California, Maria Grazia Chiuri showed her first cruise collection for Dior. Earthy tones mixed with some elements from their previous couture shows. The X-ray fabrics over the branded underwear meet the nature of the desert. The LVCruise is headed to Japan. 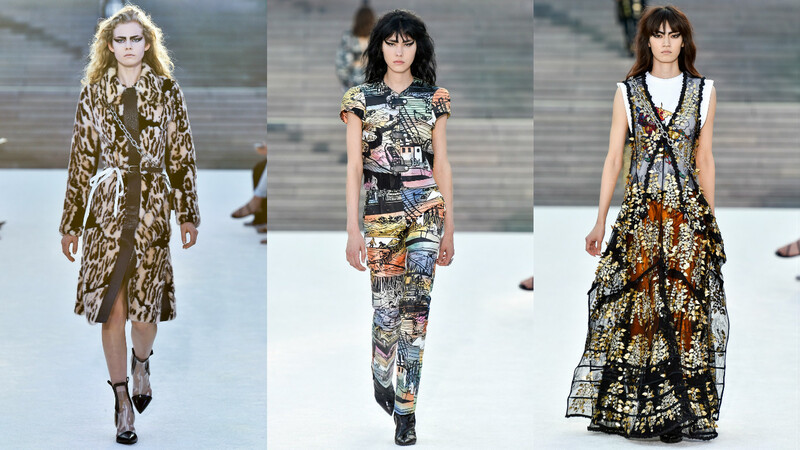 Ghesquiere showed a collection that mixes nature with architecture, animal print with straight lines. After all, isn´t LV characterised for being modern? From New York, Valentino presented it´s Resort 18 collection by their Creative Director Pierpaolo Piccioli. Inspiration comes from total oposites such us hip hop culture with romantic Maison herritage and sport with ethnic influences. 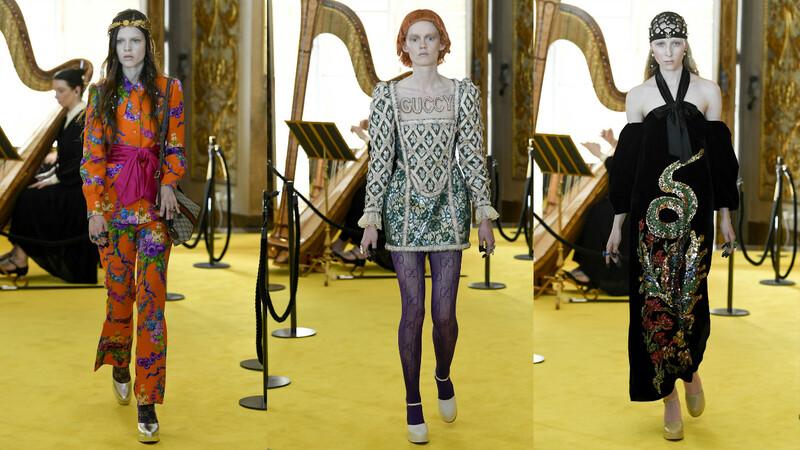 From Florence, Alessandro Michelle, presented his Gucci Resort 18 collection. Extravagant and opulent but inspired by the renaissance period. Embellishments and accesories made of golden metals and pearls were highlights of the show. Flames, Vegas, Carnival... are the basics of this resort collection full of color, material and prints as usual. Inspired by car races? Yes, even the show took place at the Paris Automovile Club. We attended an event here this past Sunday & had an awesome experience from beginning to end. They served great food and the salad I had for dinner was delicious. The service at venue New York also was impeccable. "Thorough Lad" (user that commented above) is a link spammer that posts comments so they can insert a link to the website that hired them. The same comments has been posted over 100 times on other blogs. Here's a search for a string of text from your comment so you can see for yourself that these blogs all have the same comments with a link to some page on the same site. https://www.google.com/search?q="We+attended+an+event+here+this+past+Sunday+%26+had+an+awesome+experience+from+beginning+to+end.+They+served+great+food"